In 2003, Scott Krager worked for Blockbuster. This was his last time working for someone else. In his first incarnation as business owner, Scott ran a mobile notary service signing mortgage documents for Countrywide and other lenders. With the collapse of the housing market in 2007, Scott very nearly lost his business and learned one of his first big lessons—focusing on one industry and having only one client leaves you vulnerable to downturns. Business development has to be a daily effort or a company risks going out of business. Fortunately, Scott was able to morph the business into something different and launched a website-building company in 2008. For several years after the collapse of the housing bubble, Scott successfully built up a portfolio of domains, making his living as a competitive Webmaster. While managing this collection of websites, he started mapping out a piece of software that was to become the foundation for his current business, SERPs (search engine results page). This web-based software enabled faster analysis of keywords, organic search traffic and better search engine optimization (SEO) without the hassle of “spreadsheet hell,” says Scott. In the process, he found that he truly loved visualizing data with software. Rather presciently, Scott purchased the domain serps.com while still managing his portfolio of websites. 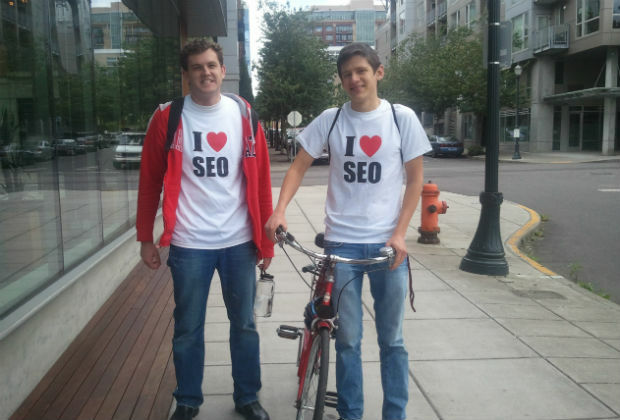 A year later Scott and CTO Joel Bradshaw launched SERPs.com for select users and their business was born. To get SERPs where it is, Scott has invested ~$150,000 of his own money into the company. SERPs was also fortunate to receive $25,000 in seed money from the Portland Seed Fund (a convertible note, not equity) last year and, most recently, an influx of angel investment. For more on search engine optimization (some practical tips!) read “An Intro to SEO for Small Business.” For more on what its like to run a tech startup, check out “Startup Revealed,” our new web series! ⇐ Video – Entrepreneurship for Immigrants: Setting the Bar Too High?